Do you want to celebrate a birthday party the elegant way? Do you want to make a special day memorable by making the celebrant feel loved and valued? The best way to achieve this is to hire a limo for a birthday party. Regardless of the age, this type of service will surely bring a smile and a glow to the celebrant’s face. Spend your birthday travelling to hot spots in the area with your friends and family with the luxury limousine service that we provide. 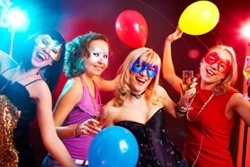 We can sweep you off your feet and drive you to the venue on time for your party celebration. Our limousines are fully equipped with the latest and state of the art video and audio system which will make your travel exciting and enjoyable. With our fully packed complimentary bar, you can start celebrating your big day with a bottle of champagne while enjoying the view during your travel. We can also accessorise and decorate the limousine of your choice with accents to compliment the event being celebrated. We will provide you with a professional chauffeur who is dedicated in providing you with the best travel of your life. All of our limos are well maintained so you do not have to worry about any type of car break down during your ride. You can simply sit back, relax and enjoy your big day or the birthday of your special someone. Get in touch with Fast Limo Hire on 020 3006 2092 and talk to our customer services team to for more details about our birthday limo packages.